The U-PLEX TH1/TH2 Combo (ms) measures 10 cytokines that are important in inflammation response and immune system regulation as well as numerous other biological processes. These assays can detect secreted biomarkers in serum, plasma, and cell culture supernatants where over- or under-expression may indicate a shift in biological equilibrium. This panel includes assays for many of the Th1/Th2 pathway biomarkers. 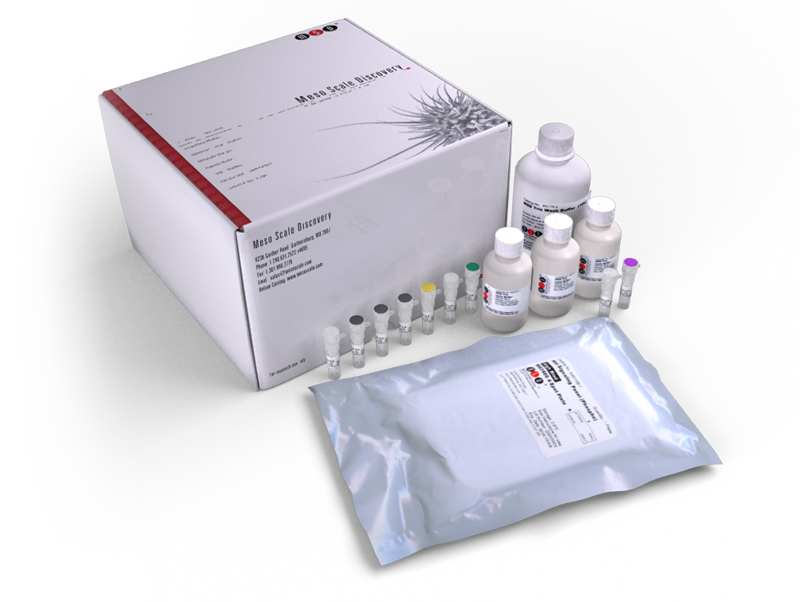 The combo assay pack measures biomarkers that are implicated in a number of disorders, including rheumatoid arthritis, Alzheimer’s disease, asthma, atherosclerosis, allergies, systemic lupus erythematosus, obesity, cancer, depression, multiple sclerosis, diabetes, psoriasis, and Crohn’s disease. The U-PLEX TH1/TH2 Combo (ms) provides assay-specific components for the quantitative determination of IFN-gamma, IL-1β, IL-2, IL-4, IL-5, KC/GRO, IL-10, IL-12 p70, IL-13, and TNF-α.